DIVINE CHRISTIAN GIFTS - Christmas Advent Calendar Away in a Manger. Christmas Advent Calendar Away in a Manger. 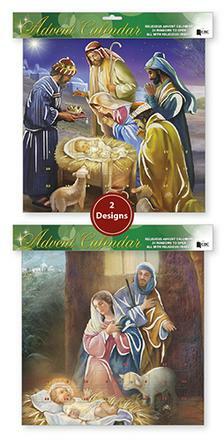 Joseph, Mary & Baby Jesus advent calendar. Size 13 1/2" x 9 1/2" with envelope.